Most of us like to share web pages via short URLs and QR codes. Having a one click solution for this makes work easy. ShortenMe is a Google Chrome extension that lets you shorten links of current page with goo.gl, Google’s URL shortner service. After generating the short URL, it automatically copy the link to clipboard. 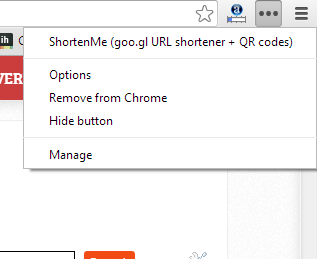 Install ShortenMe extension to Google Chrome. After installation, it adds an icon (3 dots) in omnibar. 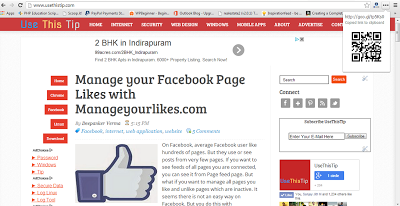 Whenever you want to generate short link of a page, visit the page and click on this icon. See the snapshot below. ShortenMe also have a settings page from where you can customize options. Right click on the icon and then click on Options. In settings page, you can select whether it should display QR codes or not. If you do not want QR code, you can uncheck this option. Last option is for changing the icon image of this. In case you want to see the statistics of he short URLs generated by this extension, you should connect your this with your Google account. After this, you will be able to see the click stats of links generate by this extension. You can disconnect your Google anytime you want. You can also set keyboard shortcut for this. Every time you want to shorten link of current page, use this keyboard short. 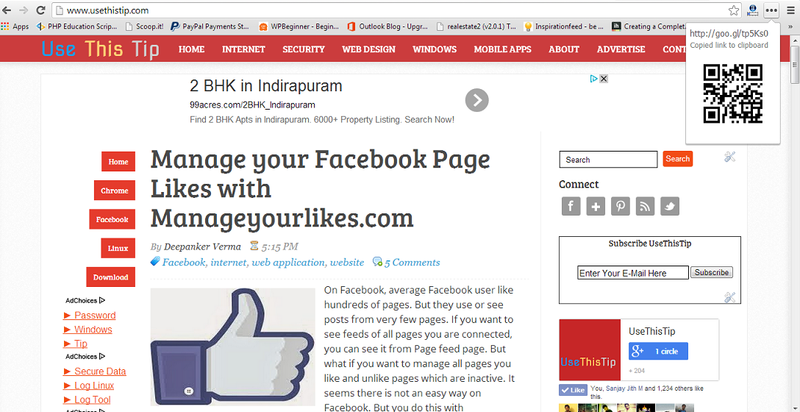 For this, right click on extension icon and click on manage. In extensions page, scroll down and click on Keyboard shortcuts link. Here, assign keyboard shortcut for this extension. You can also see these alternate browser extensions to generate one click short URLs.